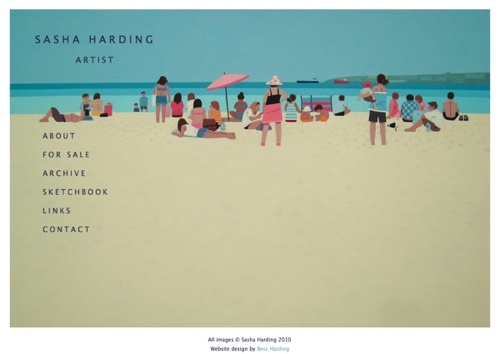 Bess Harding - Blog: Back on the Blog! This blog has been quiet for too long! A mix of moving house, not having internet access and other excuses has meant a terrible gap between posting, but that is over now. One of the things I've been working on, and just just finished, is this website for my sister Sasha who is an artist, and who has owned her domain name for years without having anything to see there. And now she has. Next up is my own website, now that I've learned so much more about how to build them properly! Good to have you back blogging, and the website looks amazing! Bess, this is amazing - well done! !